Gerald Moore Gallery is a young centre for modern and contemporary art with learning at its heart. We bring together a rich mix of people to create a new community, offering innovative learning opportunities and fostering meaningful experiences with art. In April 2012, Gerald Moore Gallery opened in Mottingham, within the grounds of Eltham College. The gallery has been gaining momentum and is now reaching nationally and beyond, with programmes generously supported by Arts Council England and the Canada Council of the Arts. With significance placed both on collaborative practice and shared learning, the gallery aims to allow everyone the freedom and support to learn. The vision of the gallery is to, help children, young people and adults to explore what art can be - supporting the importance of art in schools and beyond, through collaboration, learning and breaking down barriers. Striking a fine balance between exhibitions and learning, each supporting the other, Gerald Moore Gallery strives to push the boundaries and blur the lines between the roles of artists, teachers and learners. In unison with the exhibitions, a learning and participation programme works with our communities, community groups, teachers, schools, families and students, creating lasting relationships. 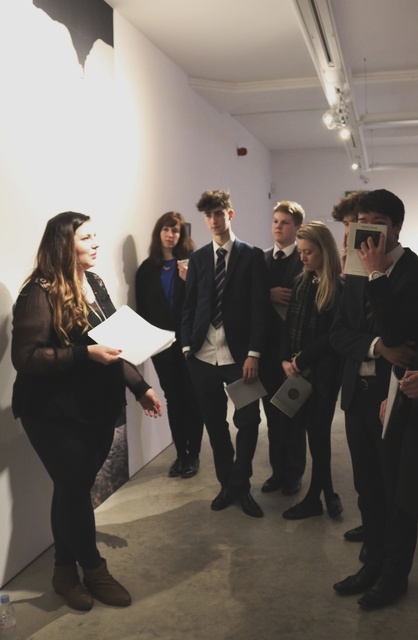 Working alongside and beyond the national curriculum, Gerald Moore Gallery's focus is to offer 'real' learning opportunities to young people with outcomes not simply framed by the current education agenda, but providing a reflective environment for critical thinking. Gerald Moore Gallery was made possible with the foresight and generosity of Old Elthamian, Dr Gerald Moore, many of whose works are archived at the gallery and a number his paintings are permanently exhibited. Gerald Moore Gallery aims to be a leader in collaborative and shared learning and an advocate for the importance of art as a tool for building awareness and understanding. We are thinking about the future of the arts and about how we can support an environment which is both an exciting and safe place, where everyone has an opportunity to share, learn and be heard. We are always looking for new ways to be involved in our communities. If you have any suggestions or comments, or en exciting learning project, please contact us.